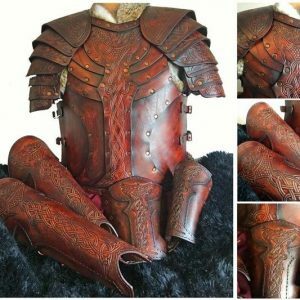 The Vendel Raven Leather LARP Vambrace are one of the most unique designs to be offered by Black Raven Armoury , this has been professionally dyed and built for you by ourselves. Created & designed by Alex Agricola, the whole set is made of premium grade top grain 3.2-3.5 mm Veg Tanned leather. 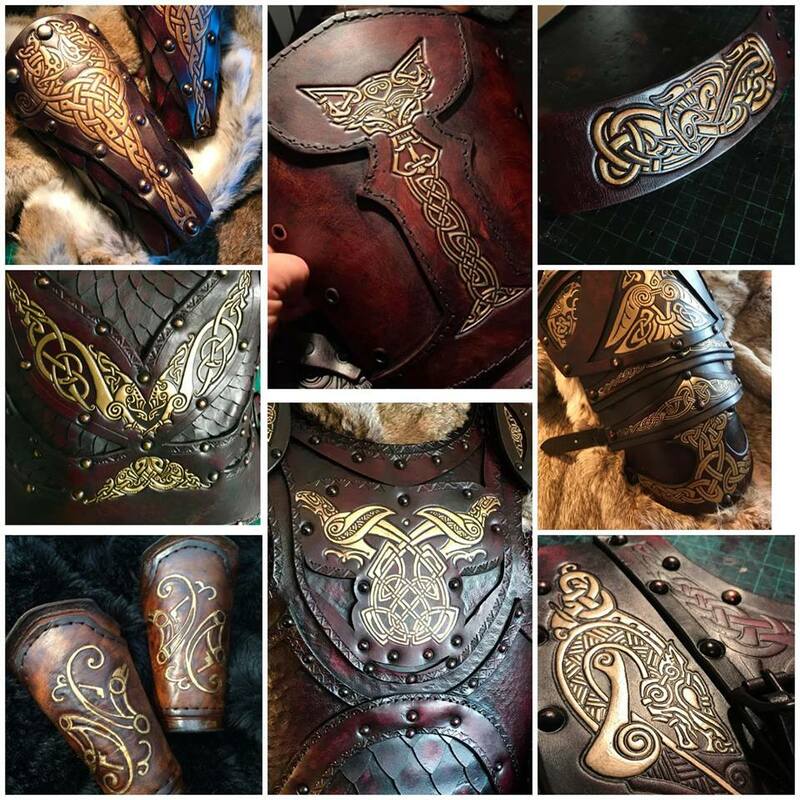 The Vendel Raven Leather LARP Vambrace is formed form a unique design. Created by Alex Agricola, from one of his favourite designs. 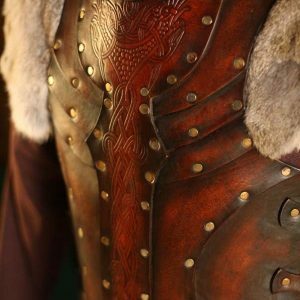 The Vendel Raven Leather LARP Vambraces are crafted from premium grade top grain 3.2-3.5 mm Veg Tanned leather. Paired best with The Vendel Raven Full Set Leather LARP Armour, these Vambraces are also available as a stand alone accessory. 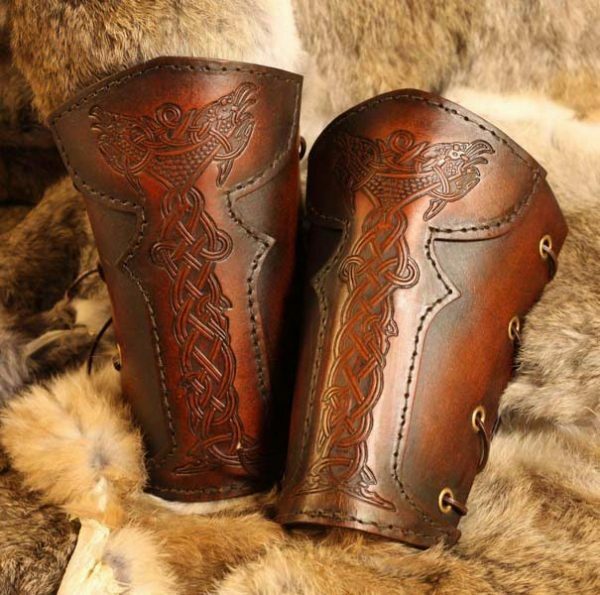 The Vendel Raven Leather LARP Vambraces are perfect for anyone looking to up their re-enactment game. They are not only versatile and practical they are visually striking with a subtle embossed design. ?From Avalon to Avaloch they knew the rider’s armour. They say it was given him by Vendel himself, but no one who saw it close enough lived long enough to ask… ?